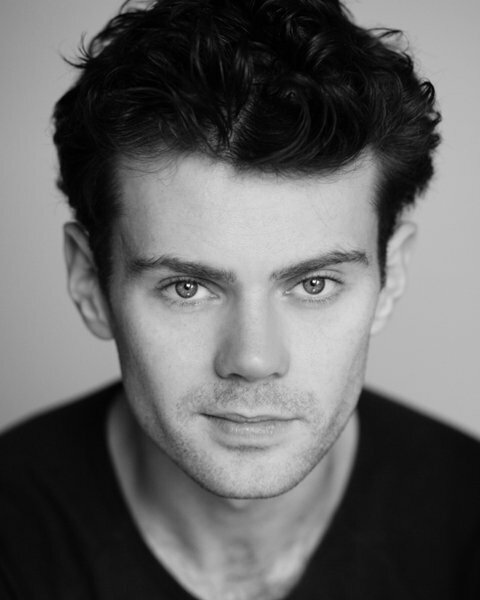 At the time of the interview, Matt Wycliffe was starring as Bob Gaudio in the musical Jersey Boys at the Prince Edward Theatre. Coming from a creative family, Matt joined the Stage 2 Youth Theatre at the age of 12 and appeared in numerous productions, including Faustus, Little Shop of Horrors, Equus and Godspell. Immediately on graduating Matt performed in This is Elvis on a UK tour playing bass player Jerry Scheff. Before joining Jersey Boys, the highlight of Matt’s career was portraying the musical legend of Buddy Holly in The Buddy Holly Story, which toured the UK, played at the Duchess Theatre for 18 months and then he revisited the role in Canada and Lubbock, Texas. He also spent time with Buddy Holly’s family in their hometown where he was warmly welcomed. Matt recently took time out from his busy schedule to answer some questions about himself and his career. I am sure you will enjoy what he has to say! You grew up in Birmingham and your Jersey Boys biography says “he grew up surrounded by puppets and music”. Can you expand on this? I come from a very creative family; both my parents are incredibly talented artists. My Father can craft literally anything out of wood and throughout my childhood he made puppets for the Cannon Hill Puppet Theatre under the direction of a man called John Blundell and for a company called Ragdoll that made children’s TV like Pob, Teletubbies and Rosie and Jim. I spent one crazy summer holiday on Teletubby Hill! He also carved beautiful rocking horses for several years. Music runs through both sides of my family, my mother loves singing and has a beautiful voice as well as playing the flute and the piano and thanks to her I started playing the violin when I was young. Her brother was a phenomenal talent on the violin which I suppose was a big influence, but funnily enough he gave me an Oscar Peterson tape to listen to and playing Boogie Woogie and Jazz piano became a real passion for me. You joined ‘Stage 2 Youth Theatre’ when you were twelve and were involved in over 40 productions. What are your favourite memories from then? Being part of Stage 2 was just so inspiring, Liz Light (who founded and runs the company) produces fantastic shows, run and performed almost entirely by young people. Being involved with every aspect of a show from making the puppets for Little Shop of Horrors, coming up with slogans for the marketing and print, acting in heavier plays like Faustus, Equus, The Crucible, musicals like Godspell… the list goes on really! Immediately after graduating you played Steve Binder and Jerry Scheff in Bill Kenwright’s This is Elvis on a UK Tour. Can you describe this experience? I was employed as an Actor/Musician playing bass guitar and the band were just amazing, although it was a little daunting as bass wasn’t my strongest instrument! It was great to be employed so fast after graduating too – that doesn’t always happen and I count myself lucky in that sense. Simon Bowman was playing Elvis and I learnt a lot about showmanship from working with him. You portrayed the musical legend Buddy Holly in The Buddy Holly Story, on a UK tour for four months, and then during its eighteen month run at the Duchess Theatre. How did it feel to play the part of the legendary Buddy Holly? You were invited to Buddy Holly’s hometown in Lubbock, Texas where you stayed for three months and met his two brothers and other family members. Can you tell us about your time in Lubbock? Dang! That place is HOT! To be honest I was surprised at being asked! A guy from England being asked to play Buddy Holly in his HOMETOWN?!? Crazy. I don’t think I’ve ever met more hospitable people than the folks in Lubbock. I have some amazing memories and experiences. I went to Larry Holley’s house and we sat and he told me stories about his brother. He got out his fiddle and passed me a guitar made by Buddy’s other brother Travis and we jammed together! Incredible when you think about it. I made good friends there too, Eddie and Ingrid (Buddy’s nephew and niece) are great people. We played a couple of gigs together while I was there which was just awesome. I went to the studio where Buddy recorded most of his hits – I’ve played on the original Celeste which features in ‘Everyday’ and the piano that can be heard on a lot of his tracks. There’s a funny video somewhere of me doing the Everyday solo on the Celeste and messing it up! I also visited his grave and laid a plectrum there, which is the customary thing to do. Seeing his grave was a humbling moment for me. He suddenly became a very real person rather than just this bespectacled, guitar-wielding musician. How did Buddy Holly’s family view your portrayal of him? They were very kind and positive about it. It must be a very odd thing to watch an actor play your deceased brother. Larry Holley said ‘That kid really does the best job at playing Buddy. He acts and talks just like Buddy did. The way he stands and moves when he is singing and playing is the same way Buddy played. He captured Buddy’s movements and personality better than anyone else ever has.” So I guess I did something right! I was fine on our opening night until the director came up to me five minutes before we started and said ‘Just so you know… Buddy’s brothers and Peggy Sue are watching’ Never been so nervous about anything in my life! What is your favourite Buddy Holly song? You are currently performing as Bob Gaudio in Jersey Boys, can you describe your character and how he ‘fits in’ with the group? Bob is the youngest but is the brains and the songwriter of the group. When he joined he saw the potential in the band and really focused it into something that would be successful. He’s very close to Frankie and they have an incredible trust between them, which kind of opposes his relationship with Tommy Devito. Tommy allowed Bob into the group but finds himself being usurped as leader as they mature. Bob has a great journey in the play, you really see him grow from a driven teenager to a successful, confident man. How would you describe any similarities that you have with Gaudio? I’m a musician myself and I’ve got an analytical mind – I often find myself taking a step back from situations and working out the solution from an external point of view rather than diving in with a raw spontaneity. Although that’s not always strictly true! However I usually get myself into trouble with the latter. Have any of the original Frankie Valli and the Four Seasons seen you perform in the show? If so, what feedback did you get? I was incredibly lucky to have some one-to-one time with Bob Gaudio himself in a studio in New York before we started to go over the songs and he gave me some valuable feedback. Frankie watched last year and was also very positive. They’re both great people. They’re incredibly down to earth for men of their stature. What is it that you enjoy most about appearing in Jersey Boys? The jackets! Actually it’s being part of one of the best shows I’ve ever seen. Like everyone else, I was just blown away when I saw it. It’s such a good script, such a fascinating (true) story and Bob is such a great part, there’s so much to it and playing a real person is always interesting. I like the challenge it brings vocally and the discipline it takes. Working with such talented people is a privilege too. Why should everyone go and see Jersey Boys? Because it’s brilliant. Every facet of the show is truly first class. You want a good story? You get it. Good music? In abundance. Spectacle? You can’t take your eyes off it. Its dangerous, its funny, its heart-breaking. It’s so slick, I don’t think I’ve seen a show which is as oiled to perfection as Jersey Boys. The time will come when you are no longer in Jersey Boys, looking to the future do you have any long-term ambitions? I have so many ambitions, I’ve seen incredible plays at the Donmar and the National Theatre and it’s the stories you see told on stages such as these that excite me but I would also love to do another musical. The good ones are just so infectious to watch and to be in. They’re so exciting. I like the idea of doing work that stretches you and takes you out of your comfort zone. I didn’t expect my career to go in this direction – don’t get me wrong I’m glad it did! But straight acting was where I started really. I’d love to do a really good drama series on TV. Another dream is to voice computer games and cartoons. So… everything really! Is there anyone in particular who has inspired you the most in your singing and acting career? Lots of people, a few are Freddie Mercury, Nat King Cole, Gary Oldman, Oliver Reed, Robin Williams, Charlie Chaplin… quite a varied bunch really. Apart from being on the stage, what other career choices did you consider? Design. I’m always figuring out how things are made and put together. I like cycling, going to the gym, playing Frisbee. Watching good live music. I love being near the water. Although if the weather is good there’s nothing better than lounging in my hammock and reading a good book. What message would you like to say to your supporters? Everyone I’ve met at a stage door (or on Twitter!) has been extremely kind and enthusiastic towards my career. Thank you all very much! You’re all ace! Many thanks Matt and best wishes! Hope to go back to see the show a few more times…he’s a wonderful actor..
Not only is Matt a very talented actor but when he breaks into “Oh what a night” he is utter perfection. And to top it off he is also such a lovely guy, when he comes out of stage door he always makes you feel so special. When I brought my children up to watch JB he was so good with them spent a long time singing their t-shirts and topping off their day. We regularly go up to see the boys and it’s as perfect every time!! Was worried just who could step into the shoes of Stephen Ashfield (and James Winter, who I saw a lot as well and was equally very impressed with) back in 2011. Step forward Matt, now of course I just can’t imagine it being anyone else. His vocal is the best I’ve heard, his acting is brilliant, his chemistry with the others is faultless and he is an all-round nice guy with time for everyone. What more could you ask for? Hope he’s in the show for a while to come yet, for again it will or would be a lesser place without him.